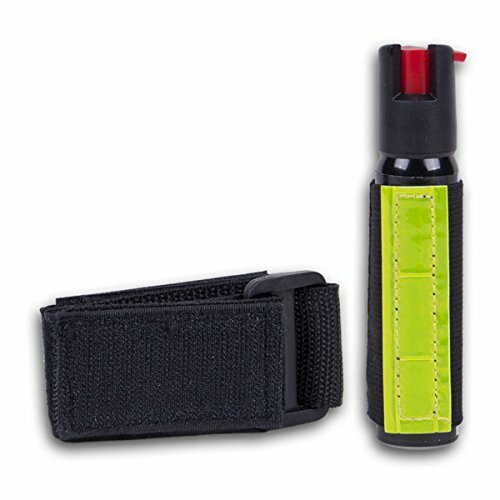 "Making Grown Men Cry Since 1975", SABRE Security Equipment Corporation is proud to manufacture the world's number one selling pepper sprays and gels: The #1 brand chosen by both law enforcement agencies and consumers, SABRE backs the most effective pepper spray with education and training to maximize personal safety. This compact, accessible armband design was made with athletes in mind! The gel formula virtually eliminates airborne particles and wind blow back so not to affect the user or bystanders. Great Value - 4 year shelf life (from the date of manufacture) - Double the industry average!